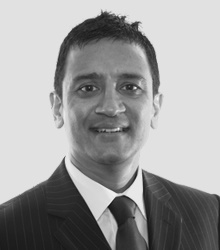 Dr Minesh Patel is dentist with over 27 years’ experience in dentistry. He currently the principle dentist at chrysalis dental practice in Bedford and Watford. Here is Dr Minesh Patel advice on tooth decay prevention. Tooth decay, also known as dental caries is an infectious disease that causes damage to the structure of teeth. Cavities are the most notable consequences of dental decay. If left untreated, it leads to pain, tooth loss or in rare cases may lead to death. In this most extreme case, infection can advance to the air cell behind the eye, from which it can then enter the brain. Tooth decay amounts to more than just the inconvenience of “drilling and filling”: it has the power to change a person's diet, speech, quality of life and overall well-being. This is accomplished by applying fluoride to the crystalline structure just after the teeth erupt into the mouth. The tooth surfaces are vital and will allow incorporation of fluoride ions into the surface structure. Studies show that low doses of fluoride are safe and effective against decay. Sealants are also successful and are a companion treatment to fluoride because they seal the places where decay occurs in the tiny hidden pits and fissures. These bacteria can be identified by a painless test administered by the dentist. If these bacteria are identified, they can be modified to reduce tooth decay by the use of tooth protective products. We can further modify these dangerous bacteria concentrations with the use of antibacterial mouth rinses and pH neutralizing agents. Sugars can be fermented by bacteria to produce acids. It's important to reduce sugars from the diet or restrict intake to mealtimes. Natural sugars, which are found in fruits and vegetables, are better than the sugars found in juices, sodas, candy and the like. Snacking between meals is dangerous because it promotes an acid environment that would take up to thirty minutes for healthy saliva to neutralize. Healthy non-sugary are therefore better, like carrots, vegetables and fresh fruits. Xylitol is an example of an “alcohol sugar” used in some chewing gums and dental products that actually reduces decay-producing bacteria, and is proving useful in decay preventing strategies. One study showed that pregnant mothers who chewed xylitol gum before giving birth reduced the transmission of these strains of bacteria to the child, thus reducing the likelihood of decay. Prevention doesn't simply mean brush and floss and don't eat sweets. It is an intricate subject with many implications. Visit Dr. Minesh Patel in his dental office as he may offer some additional steps to measure your tooth decay risk and then recommend some products that specifically manage your risk level. These strategies are based on tipping the balance toward health by maximizing the protective side and minimizing or eliminating the pathogenic side. Prevention must be strategic, since it affects planning on an individual and community level. Book an appointment with Dr Minesh Patel at chrysalis dental practice here, Learn more about Dr Minesh Patel here and visit Dr Minesh Patel website here.